Apples of Gold has many amazing pieces you can choose from and their specialty is helping you create stunning personalized jewelry for yourself or the special people in your life. A popular personalization piece is the Name Pendant Necklace. 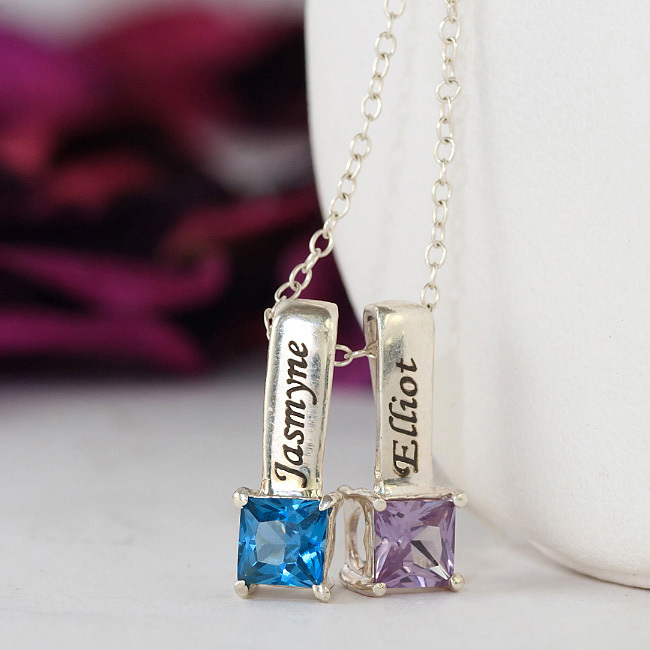 Feature up to two names and two birthstones for the pendants. Made from silver, these pendants have a luster and shine that has been desired in fine jewelry for many years. Create a truly unique piece that will turn heads and get people talking! Discover the beauty and elegance of this personalized sterling silver pendant today and create a keepsake that will stand the test of time and be treasured for a lifetime. 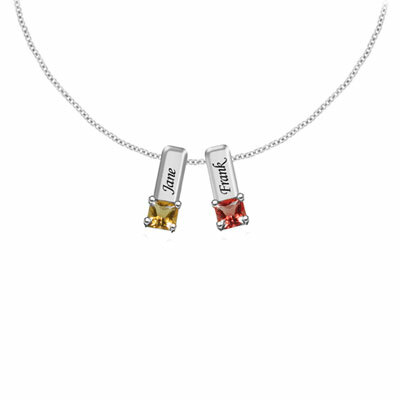 We guarantee our Personalized Mother's Necklace with 2 Birthstone Pendants in Sterling Silver to be high quality, authentic jewelry, as described above.